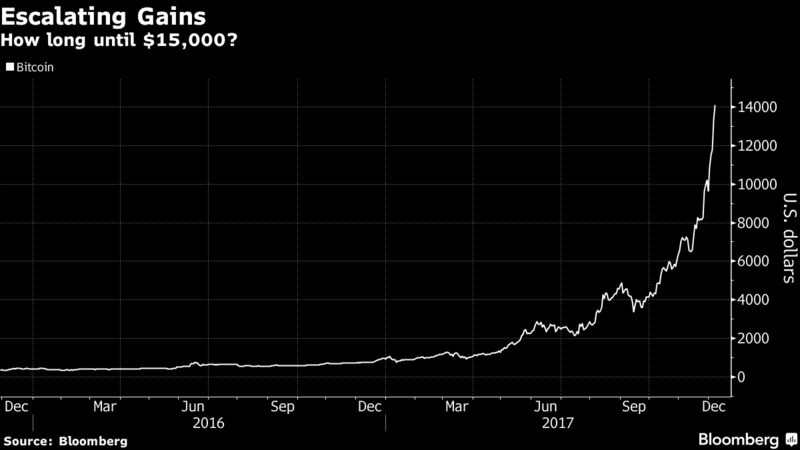 Bitcoin climbed as much as 8.9% Thursday as it surged $14,925.3730, extending this month’s advance to more than 45%. The price of the cryptocurrency touched $14,925.3730, a record, according to LTN data. ASX Ltd., the main exchange operator for equities and derivatives in Australia, Thursday said it will start using blockchain to process equity transactions. Blockchain is the ledger software that makes bitcoin and other cryptocurrencies possible, and Digital Asset Holdings LLC, the startup run by former JPMorgan Chase & Co. banker Blythe Masters, will supply the technology. 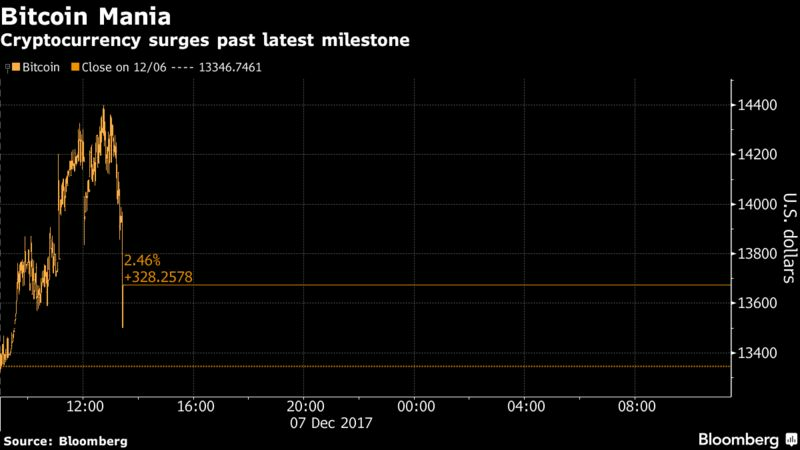 Bitcoin got a boost from a successful test of the Lightning Network, which promises to provide a new way to pay for stuff with Bitcoin. The technology would move some transactions away from the blockchain by allowing buyers and sellers to transact privately and later broadcast their activity to the public network. Supporters say it will ease the on-going congestion plaguing Bitcoin payments. 3. ACINQ, successfully made multiple payments. This is the 1st time their system has been used on Bitcoin’s actual blockchain, according to the head of Lightning Labs. She said this paves the way toward testing with outside businesses. The price of Bitcoin cash fell after the news, slumping 7.4% to $1,321, according to prices on Bitfinex. The rival offers a separate solution to Bitcoin’s congestion issue. The largest cryptocurrency by market value has soared from less than $1,000 at the start of the year, up + 1,300% YTD.